Selangor, Malaysia, July 9, 2015 - (ACN Newswire) - Garlic extract may be an effective weapon against multi-drug resistant strains of pathogenic bacteria associated with urinary tract infections (UTI), according to a recent study published in the Pertanika Journal of Tropical Agricultural Science. Conducted by researchers at the Birla Institute of Technology and Sciences in India, the study found that "even crude extracts of [garlic] showed good activity against multidrug resistant strains where antibiotic therapy had limited or no effect. This provides hope for developing alternative drugs which may be of help in fighting the menace of growing antibacterial resistance," the team states. Urinary tract infection is the second most common infectious disease encountered in community practice. Worldwide, about 150 million people are diagnosed each year with UTI, at a total treatment cost in the billions of dollars. Although UTI is usually treated with antibiotics, "emerging antimicrobial resistance compels us to look back into traditional medicines or herbal products, which may provide appropriate/acceptable alternative solutions," the authors argue. Garlic (Allium sativum) has been traditionally used for the treatment of diseases since ancient times. A wide range of microorganisms - including bacteria, fungi, protozoa and viruses - are known to be sensitive to garlic preparations. Allicin and other sulphur compounds are thought to be the major antimicrobial factors in garlic. In this study, the team found that 56% of 166 bacteria strains isolated from the urine of people with UTI showed a high degree of resistance to antibiotics. However, about 82% of the antibiotic resistant bacteria were susceptible to a crude aqueous extract of Allium sativum. According to the researchers, "ours is the first study to report the antibacterial activity of aqueous garlic extract against multidrug resistant bacterial isolates from infected urine samples leading to UTI." 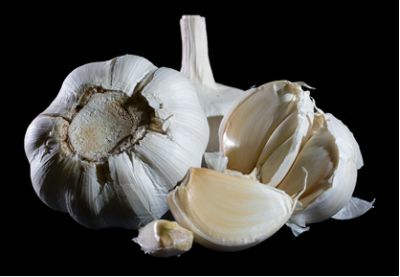 "To conclude, there is evidence that garlic has potential in the treatment of UTI and maybe other microbial infections," says the team. "However, it is necessary to determine the bioavailability, side effects and pharmacokinetic properties in more detail."